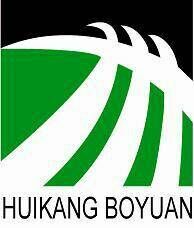 Beijing Huikang Boyuan Chemical Tech Co., Ltd. is an outstanding manufacturer of anti-viral, anti-cancer and anti-diabetic chemicals. Our products are being produced and supplied to all over the world with the best quality. Beijing Huikang Boyuan Chemical Tech Co., Ltd. is a high-tech enterprise gathering new drug development, technology transfer, Intermediates and chemical material's production.